Vbout is a multi-channel marketing automation platform that helps businesses collect leads and convert them into loyal customers with features like social media management, a landing page builder, email marketing, a customer journey builder, and progressive user profiling. The Vbout platform also includes built-in reporting and analytics to help users optimize campaigns and track performance. Vbout helps marketers create and launch customized email marketing campaigns, as well as manage various profiles, analytics and engagement. Users can also schedule and publish posts on social media platforms. With the social calendar tool, users can create, organize and see all social activities in one place. The inbox helps users track and list all retweets, comments, notifications, and mentions. It also allows users to monitor and respond to several profiles. The contact list management feature helps increase email open and read rates, while the email automation tool allows users to build an automated sales funnel. The template management feature gives users complete control over their content. Users also have access to modern template designs used to initiate email campaigns. Users can save time by using list integration as it integrates lists into the Vbout system and then organizes them, before collecting analytics and launching email campaigns. I started using Vbout extensively for a project in school and I am recommending it to my current supervisor in marketing. It is easier to use, implement, and maintain when compared to other products, while also being cheaper. It has a free basic plan which was perfect for my needs, but the prices when compared to the other platforms is astounding. It also contains functions such as social media configuration and maintenance, email automation, and their new beta project, the customer journey. The customer journey was at first confusing, but once I learned how to use it, it helped show my other group members what we are doing and how we do it. Also, I am not a coder by any means, and HTML confuses me, but the email and landing page builder was easy to use and you don't need to know any code to be able to create the perfect email or landing page. Also, they have templates free to use and so I had a professional looking landing page that I didn't code at all. And if there was any problems with my account, I could call support and they would help me troubleshoot any problems I was having. All in all, Vbout is a great platform and I highly recommend it to people who are looking for cheaper alternatives, freelance marketers or salespeople looking to expand their lead generation, Web developers trying to direct and monitor traffic on their websites, or just someone trying to create something online. Robust and feature rich marketing automation platform at half the costs of other players. So cost saving would be the most apparent benefit. The tool is really easy to use and feature rich for a very competitive price compared to the other players like Act-on and Hubspot I have used. Creating a landing page is easy because they offer great looking templates you can customise. If you still have specific wishes their support team jumps on it and customise the landing page according to your wishes. I was impressed by the support team and even the CEO offers great support. He seems to be working 24/7. I also love the way you can create workflows using a blanc canvas and drag and drop actions/triggers. The tool is really easy to use and feature rich for a very competitive price compared to the other players like Act-on and Hubspot I have used. Creating a landing page is easy because they offer great looking templates you can customise. If you still have specific wishes their support team jumps on it and customise the landing page according to your wishes. I was impressed by the support team and even the CEO offers great support. He seems to be working 24/7. I also love the way you can create workflows using a blanc canvas and drag and drop actions/triggers. Unfortunately I wasn't able to implement it after the PoC due to specific requirements internally. The timing was slightly off, would I have been able to start 6 months later I would have had no problems. While customer service is very responsive, we need to contact customer service way too often. It has most of the features we were looking for when considering platforms and was affordable. It has most of the features we were looking for when considering platforms and was affordable. They upgrade/change features frequently without telling you and cause problems with existing campaigns. "Templates" can be hard to change and don't always work across different email clients. • Lets users create personalized and engaging email marketing campaigns. • Allows users to import their own designs and use the code editor to handle coding easily. • The A/B testing feature helps users optimize email performance by understanding what the audience responds to best. • The list builder enables users to organize contacts into groups easily. • Allows users to manage multiple profiles and schedules and publish posts on various social media platforms. Below are some frequently asked questions for Vbout. Q. What type of pricing plans does Vbout offer? Q. 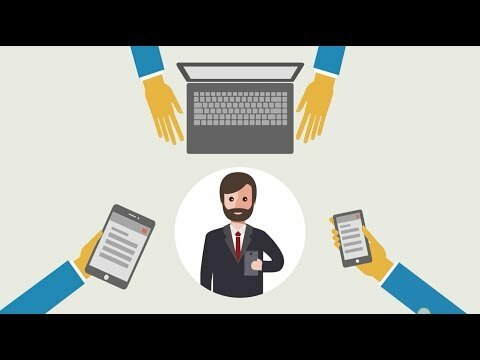 Who are the typical users of Vbout? Q. What languages does Vbout support? Q. Does Vbout support mobile devices? Q. Does Vbout offer an API? Yes, Vbout has an API available for use. Q. What other apps does Vbout integrate with? Q. What level of support does Vbout offer?